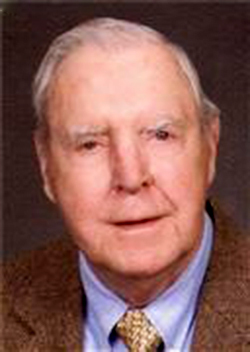 Chapter 142 give a final salute to Mr. John Curtis Spahr Sr., 90, of Adamstown, MD, who passed from this life surrounded by his family on Sunday, March 24, 2019 at the Frederick Memorial Hospital in Frederick, MD. He was the husband of Zelma Burrier Spahr for 65 years. Born October 5, 1928, in Carlisle, PA, he was the son of the late Edith (Spahr) and Robert Shultz and John E. Spahr. He owned the National Bohemian Distributorship in Frederick County (MD) for many years. John served in the U. S. Army during the Korean War and was a past member in Chapter #142 of The Korean War Veterans Association of Frederick County, MD. He was an avid Baltimore Orioles & Dallas Cowboys fan, loved playing Poker and Penuckle with his friends and a member of Forest Grove Methodist Church in Dickerson, MD. Chapter 142 sends condolences to the John Spahr's wife and daughter, Robin, as well as family and friends. You can find out more at the Keeney Basford P.A. Funeral Home website. 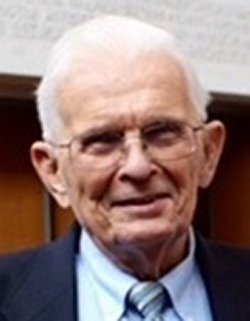 Chapter 142 remembers James Allen Wedberg of Bethesda, MD who passed away with his loving wife, Malla at his side on March 8, 2019. Jim was a Korean War Veteran and retired 20-year US Foreign Service Officer, serving overseas in Vietnam, Tanzania, Afghanistan (where he met his wife Malla), Mauritania and in Washington, DC as a country program development officer for Sierra Leone, Liberia, Cameroon and the Central African Empire. A Final Salute was rendered to National KWVA member James Wedberg at the request of his wife, Malla, on March 29th at the Pumphrey Funeral Home in Bethesda, MD. Commander Becker, Bob Eader, Chip Chipley and Glenn Wienhoff did the honors. Chapter 142 sends condolences to his wife, Malla, his step daughter and son in law, Mashal and David Hartman, sister and brother in law Nancy and Colonel Larry Zittrain Ret., nieces and nephews Laurie Jones, Scott Zittrain, Greg Zittrain, Jennie Tippit and their families. Chapter 142 pay their respects to Lucian K. Falconer, Jr. of Frederick, who passed away on Thursday, February 7, 2019 at Homewood at Crumland Farms, after a bout with cancer. He was the husband of the late Neeta Ellen Dame Falconer. They were married in 1958 and she died on August 7, 2018. Born in New Market on December 28, 1932, he was a son of the late Lucian K., Sr., and Alverta Comer Falconer. Lucian was a graduate of Frederick High School Class of 1951. He proudly served his country during the Korean War in the United States Army, from 1953 to 1956, and was a member of KWVA Chapter 142. Lucian retired after 40 years of honorable service with the National Institutes of Health. He was an active member of the Evangelical Lutheran Church for over 40 years, a member and past master of the Philanthropic Lodge # 168, A.F. & A.M., Masonic Lodge in New Market, and a member of the Scottish Rite of Frederick. Lucian was also a charter member of the New Market Volunteer Fire Company. Left to honor and remember him are his three sons, Lucian K. Falconer III, of Leesburg, VA, Kenneth M. Falconer and wife Roxanne, of Brunswick and Philip E. Falconer, of Lovettsville, VA, and his two grandsons, Nicholas L. Falconer serving in the United States Navy and Nathaniel K. Falconer, of Brunswick, two brothers, William C. Falconer and wife Ruth, of Middletown and Robert P. Falconer and wife Peggy, of Ft. Worth, TX, and many nieces and nephews. He was preceded in death by a daughter-in-law, Penny Falconer, who died in November 2018. Chapter 142 sends condolences to the Falconer family and friends. You can find out more on The Frederick News-Post website. Chapter 142 morns the passing of Charles R. "Buck" Wisner, 89, who died on September 4, 2018, at the Kline Hospice House. Born in Frederick, on March 16, 1929, he was a son of the late Franklin H. and Ida C. Staub Wisner. Buck honorably served this Great Republic in the United States Army as a Military Policeman with the 523rd Military Company, Aberdeen Proving Ground, Maryland. He retired as a Department of Defense Firefighter at Fort Detrick. He was a Volunteer Firefighter and became a Life Member at the Independent Hose Company and Citizens Truck Company, serving as Fire Chief and Director. Buck was a member of the Francis Scott Key American Legion Post # 11, AMVETS Post #2, Frederick, Maryland State Fireman's Association, Maryland Fire Chief Association, University of Maryland Terrapin Club, (Board of Directors), and the Korean War Veterans Association, Chapter 142. Chapter 142 sends sincere condolences to Buck's family and friends. He will be missed. You can find out more on Frederick News-Post website. Chapter 142 is saddened by the death of long standing friend and member Jack William Droneburg, 89, of Frederick, Maryland, who passed from this life on Thursday, October 19, 2017 at Frederick Memorial Hospital in Frederick, MD. 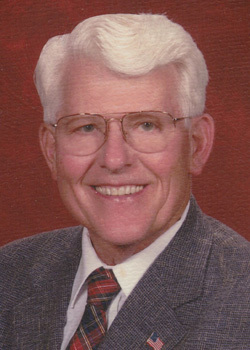 For many years Jack headed the Chapter's Member Welfare committee. He was often on the Executive committee and in 2015 he was the Chapter's Vice Commander. On September 16, 2017, he was presented a plaque for his service by Howard Whang and Jim Kim of the Korean American Association of Prince George's County. Born on October 13, 1928, in Frederick, MD, he was the son of the late Roger Truman Droneburg and Eva Irene (Winpigler) Droneburg. Jack graduated Frederick High School in 1947 and served in the U.S. Army from 1951-1953 State Side 31st Division Dixie-South Korea 1st Cavalry Division. He retired from Ft. Deterick after 32 years in the Fire Department Utility Division "Decon". Jack was a member of the American Legion Post 11, AmVets Post 42, VFW Post 6658, the Col. William E. Weber Korean War and Korean Service Veterans Chapter 142, Korean War Veterans Antietam Chapter 312, Moose Lodge 371, Fire Company United 3, AARP-NARFE, and the Evangelical Lutheran Church. He loved watching western movies and walking his beloved dog, Peeka. He is survived by his wife of 63 years, Dorothy May Fulmer Droneburg; his daughter, Lark S. Abrecht; grandchildren, Jeffrey, Craig and his wife Courtney and Amanda Abrecht; great-grandchildren Calvin and Lily; sister, Nancy Ann Corun and her husband Daniel and his loving dog and faithful companion, Peeka.He is predeceased by his twin brother, Gene Joseph Droneburg. Chapter 142 sends heart felt condolences to Jack's family, especially Dorothy. He was a friend and will be missed. Jack Droneburg was the personification of the U.S. Army values: Loyalty, Duty, Respect, Selfless-Service, Honor, Integrity, Personal Courage. 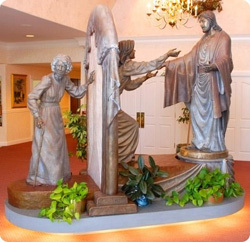 You can read more at The Stauffer Funeral Home website. Chapter 142 gives a solemn final salute to long standing friend and Executive Committee member Richard Knoebel. On May 13, 2017, with family by his side, Mr. Knoebel passed away at his residence in Gaithersburg. He was 91. He was preceded in death by Margaret, his beloved wife of 57 years. He leaves behind six daughters: Geri Knoebel, Madeline Knoebel, JoAnne Knoebel, Denise Knoebel, Colette Given, and Bernadette Knoebel-Swann. He is survived by 11 grandchildren as well as seven great-grandchildren. Mr. Knoebel is also survived by many nieces and nephews. He served in the U.S. Navy for 20 years and was deployed in World War II (South Pacific Theater) and in the Korean War. He was very active serving as the Secretary-Treasurer of the National Board in the Chosin Few Korean War veteran’s organization - The Chosin Reservoir Battle Monument was recently dedicated May 4, 2017, in Quantico, VA (see Changjin Battle/Chosin Few). He also was a member of the Executive Committee of the William E. Weber Korean War Veterans’ Association (Chapter 142). In addition, he was a founding and charter member of the Marine Corps League (Detachment 1428) and received their 2017 Marine of the Year Award. Chapter 142 sends condolences and regards to Richard Knoebel's family. He will be missed. Non sibi sed patriae - Not for self but country. You can read more at The DeVol Funeral Home website. Members of Chapter 142 remember Lewis Thomas Bell who passed away at the Ballenger Creek Center in Frederick on March 19, 2017. Born in Frederick, he was the son of the late Jesse Elmer and Dorothy Irene Bell. He was married on April 24, 1954 to Peggy Ann Thompson, who died in November 2000. Lewis worked at M. J. Painter's Shoe Repair Shop at age 14, joined the U S Army on July 25, 1949 and was a combat veteran, serving with the 3rd Infantry, 92nd Armored Field Artillery (famed "Red Devils") of two major battles during the Korean War - the campaign against the North Koreans, and the campaign against the Chinese Communists. Other battles included the frozen Chosin Reservoir, the Su-Won Airstrip and the Evac-uation of Hong- Nam. He was awarded the Good Conduct Medal, the Korean Service Medal with two bronze campaign stars, and the United Nations Service Medal. He was discharged as S/SGT on September 10, 1952. He worked at Fort Detrick as a Mechanical Engineering Technician in the Aerobiology Division of the U S Army Medical Research Institution of Infectious Diseases from 1953 until his retirement on February 3, 1984. He was a member of the Francis Scott Key Post 11, American Legion; the Korean War Veterans Association, Chapter 142; the Philanthropic Masonic Lodge 168, New Market; the AMVETS, Post 2, Frederick; a life member of the VFW John R. Webb Post 3285; and the Evangelical Lutheran Church, Frederick. He is survived by two brothers, Jesse E. Bell, Jr. of Myersville and Danny L. Bell of Monrovia; three sisters Christina I. Wilcox of Frederick, Dotty L. Neal of Smithsburg, and Ida Mae Blickenstaff of Myersville; nieces and nephews, Douglas A. Wilcox of Hagerstown, Cynthia L. Wilcox of Frederick, John E. Wilcox, III of Salisbury, Judy L. Clark of Smithsburg, Debra J. Stanley of Smithsburg, Mark D. Neal of Smithsburg, Tina L. Flook of Myersville, Ryan W. Bell of Thurmont, and a special niece and caregiver, Margaret Ann Godsey of Frederick. He was preceded in death by two brothers, Randolph J. Bell and Ned W. Bell. Chapter 142 sends condolences and regards to Lewis Bell's family. You can read more at Frederick News-Post about Mr. Bell. Members of Chapter 142 are saddened by the passing of Nelson R. May, 86, who died at home on February 24, 2017 surrounded by his loving family. For 58 years he was the loving husband of the late Martha K. Edwards May who passed away on November 23, 2009. Born in Frederick, Maryland on May 1, 1930, he was the son of the late James Harvey May and Clemma V. Bidle May. 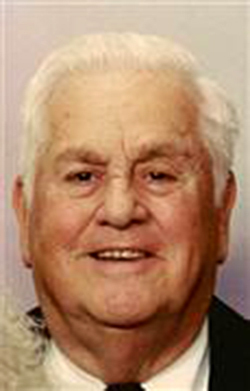 Nelson graduated from Frederick High School, Class of 1947. He served as Senior Class Treasurer and was a member of the National Honor Society. 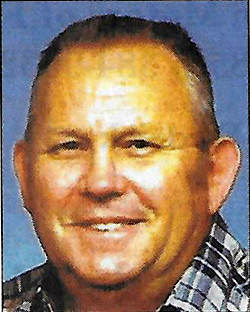 He was an accountant, retiring in 1990 from Central Maryland Farm Credit as Vice-President, Finance and Administration. Nelson enlisted in the U.S. Air Force in 1948. He attended Draftsman's School at Fort Warren, Wyoming. In 1949 he was assigned to Headquarters, 20th Air Force, Air Intelligence, on Okinawa, Japan. During the Korean War, he served at the Pentagon, Washington, D.C., Air Force Intelligence Cable Section. He was honorably discharged from the U.S. Air Force Reserve in 1955. He was a Life Member and Post Commander of Amvets Post 2, Frederick, and a member of: American Legion Post 11, Frederick; V.F.W. Post 3285, Frederick; Korean War Vet. Association, Chapter 142, Frederick; Korean War Last Vet. Club, Am Vets Nat. Sad Sacks, Sack 101, Frederick; Air Force Association, Central Maryland Chapter 145; The Historical Society of Frederick County, Maryland and the Catoctin Furnace Historical Society. Nelson and Martha spent many years working on each family history and had an extensive Civil War and American History library. Nelson's great, great Uncle, Wesley Marken, was a member of the Potomac Home Brigade, Union Army, was captured at Charles Town, W. VA: by John Mosby and died in Andersonville Prison, Georgia. His great grandfather, Yancy May, served with the 146th Virginia Militia, Confederate Army. During the 1800's he worked at Catoctin Furnace as a wood cutter and collier. Chapter 142 sends condolences and regards to Nelson May's family. Aim High ... Fly - Fight - Win. You can read more at Resthaven Memorial Gardens about Mr. May. Members of Chapter #142 salute Martin Goge of Edenton Retirement Community, in Frederick, MD, who died peaceably on Friday, January 20, 2017. Mr. Goge served in Korea from 1951 through 1952 with the 45th Infantry Division, as 1st SGT. For his service, he was awarded the Bronze Star, and Combat Infantryman Badge. He later became a member of Chapter #142, and had been a very active member of the Chapter for several years until his health declined. He was employed locally as Executive Vice President of Hagerstown Leather, and later as Vice President of the Buckheimer Corporation. After retirement, he ran a workshop for developmentally disabled young adults at the Kennedy Institute in Washington, D.C. He is best remembered by his friends and family for his sense of humor, his optimism, his insatiable curiosity and endless desire for knowledge, and most of all for his enormous capacity for love. Chapter #142 will miss Martin Goge Sr. and sends their condolences to Martin's children, grandchildren and great grandson. I am the heart of the fight - wherever, whenever. I carry America's faith and honor against her enemies. You can read more at The Frederick News Post about Martin Goge Sr.
Chapter 142 is saddened by the passing of Louis Cole III. Louis Nichols "Pete" Cole III, 83, of Walkersville, passed away on Saturday, December 17, 2016, at the Kline Hospice House. 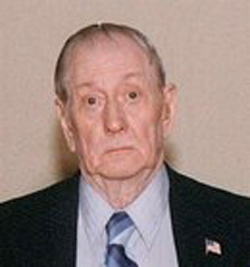 He was the loving husband of Irene Sheckles Cole. Born in Frederick, on June 17, 1933, he was a son of the late Louis Nichols, Jr., and Edith Marie Wolfe Cole. Louis proudly served his country during the Korean War in the United States Air Force. He was a graduate of Frederick High School Class of 1951 and a member of the Amvets Post # 2, the Francis Scott Key American Legion, Post 11, the Korean War Veterans Association Chapter 142 and former member of St. Timothy's Episcopal Church. He was retired after many years as an electrician for the National Bureau of Standards, which today is known as NIST. Chapter 142 expresses their deep condolenses to his wife, his sons, Robert L. Cole, of Frederick, and David M. Cole and wife Candice, of Walkersville, his brother, Bernard "Tink" Cole, of FL, sister, Lorraine Purdum, of Clarksburg, and grandchildren, Heather Adams and husband George, and Daniel Carter. You can learn more at The Frederick News-Post. Chapter 142 is saddened by the passing of Mr. Paul William Mossburg, who died on Sunday, September 18, 2016, in Frederick. He was the husband of the late F. Doris Lackey Mossburg, who died in 1987. Born in Frederick in 1926, he was a son of the late Harry C. and Emma R. Fitz Mossburg. Paul proudly served his country in the United States Army during the Korean War. He retired after 30 years with the City of Frederick Police Department, rank of Captain. When he retired he was Inspector Supervisor/Commander of Criminal Division. He had also received the Ribbon of Honor and the Citation of Valor. After his retirement he owned and operated Mossburg Investigation Consultant. Later he worked part time for F & M Bank and Shockley Honda. Paul was always very active in the community, which included Founder of Kid's Inc., an organization to help children with family problems, of which he served as president. He was past director of several activities, including, Kid's Inc., PTA Elm Street School, North Frederick and T J High School, March of Dimes, the YMCA and Department of Social Services. He was a founder and past Director of the Frederick County Association for Children with Learning Disabilities, member of Task Force Charged with writing of Drug Program for Frederick County Schools. He served as chairman of the Frederick County Red Cross and also chairman of the Disaster Committee. He was an active and life member of the Frederick Evening Sertoma Club, having served three terms as Director, Secretary and President. He also served as Past District Governor, Past State Director and Past Sertoma International Director. He had received the Man Kind award, at the local and district level, the highest award given by Sertoma. He was also a member of the National and District Gold Coat Association of Sertoma. 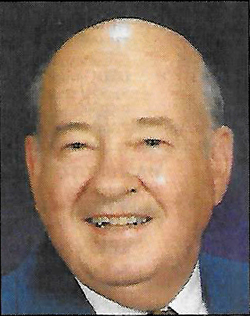 He was an active and life member of the Frederick Elks lodge and currently serving on the Board of Trustees. He was a member of the FSK American Legion, VFW Post # 3285, Amvets Post # 2, Korean War Veterans Chapter 142 and the Junior Fire Company. He was also a member of the Shiloh United Methodist Church, TN. You can find out more at The Frederick News-Post. 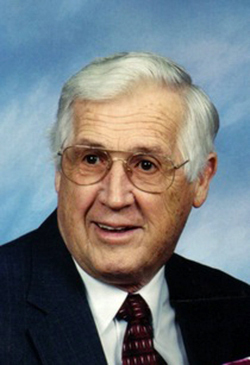 Members of Chapter #142 salute Alfred Arthur "Loose" Wiles, who passed away on Tuesday, June 28, 2016, preceded by his wife, Shirley Gilroy Wiles, who died July 25, 2007. Alfred was born at the Best House in Frederick Junction. He was a sone of the late George Arthur and Margaret C. Waltz Wiles. Alfred was a crane operator for Eastalco Aluminum Company from 1969 until his retirement in 1998. At the time of his death, at the age of 83, he worked part-time with Gladhill Tractor Mart. Alfred was a U.S. Army veteran of the Korean War, serving from 1952 until 1955. 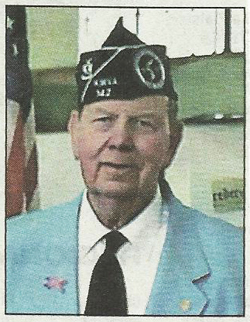 He was a charter member of The Big Oak Lodge in Middletown; life member of Loyal Order of the Moose #371, Frederick; life member of Clopper American Legion Post #10, Boonsboro; and life member of Korean War Veterans Association Chapter 142. Chapter #142 extends their thoughts and prayers to the Wiles Family. Members of Chapter #142 pay their respects to James "Stuffy" Rooney Jr., who passed away on Friday, March 18, 2016. James was born on November 15, 1930 in Brunswick, Md to James William "Sarge" Rooney Sr. and Millie Malvina Nalley. James is survived by his wife of 62 years, Patsy Kagey Rooney; daughter Rhonda Lynn Rooney; brother Raymond "Pat" Lee and his wife Brenda Rooney; sisters-in-law Jacqueline Kagey and Shirley Kagey Rohrer; niece Lisa Walker Shankle; nephew Michael Patrick "Mike" Rooney; niece Heather Christine Rooney and numerous other loving nieces, nephews and cousins. James grew up in Brunswick, Md. He was called to duty into the United States Army on December 7, 1951, where he took eight weeks of basic training at Camp Roberts, CA and Camp Cook, CA. His rank was Private First Class in the 160th Infantry Regiment 40th Infantry Division, Company "B". Later, he would be shipped overseas to fight in the Korean War. While in combat he was wounded by an incoming mortar shell, hit by shrapnel on January 15, 1953. 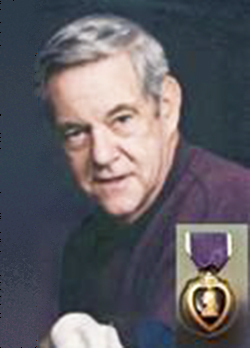 He was the recipient of the Purple Heart Medal (44 years later), Bronze Service Star, United Nations Service Medal, National Defense Service Medal, and Good Conduct Medal. On the 50th Anniversary of the Korean War he was awarded another Korean War Service Medal by South Korea. James was honorably discharged on January 28, 1954 from Valley Forge Army Hospital, Phoenixville, Pa after a year of medical care and rehabilitation from all his wounds. James was a life member of Steadman-Keenan Post #96 American Legion of Brunswick, MD, Veterans of Foreign War Post 10421 of Brunswick, MD, the Korean War Veterans Association of Frederick County, and Silver Bit Riding Club where he rode alongside his Uncle William "Pink" Nalley, enjoying his love for horses and horseback riding. He also was an Antique and Classic Automobiles enthusiast. Chapter #142 extends their thoughts and prayers to the Rooney Family. You can read more at The Frederick News-Post. 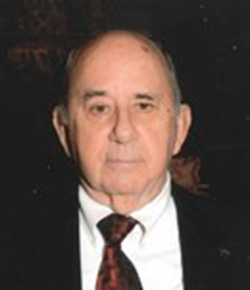 Members of Chapter #142 remember Roy Edward Goodman, who passed away on Saturday, December 26, 2015. He is survived by two daughters and their husbands, Linda and Dwayne Damuth and Donna and Bill Welty; two sisters, Ella Robertson and Lois Redden; a brother, Basil Basham; wife, Carol; three beloved grandchildren, Jeff Welty, Stacy Huss and Jenny Holder; and the joy of his life, his great grandchildren, Avery and Parker Welty, Naomi Huss and Finley and Josie Holder. Born on May 20, 1929 in Frederick County, Maryland, he was the son of the late Minnie Jane Goodman Basham and James Edward Goodman. Roy Goodman was a proud veteran of the United States Marine Corps, and was a life-time member of the Marine Corp League - Shangri-La-Detachment, Frederick and Bull Dog Detachment, Hagerstown. 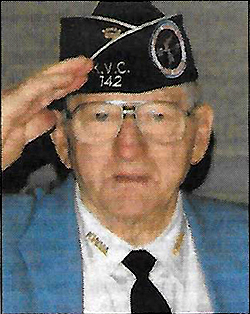 He was a Korean War Veteran and member of KWVA Chapter 142. He was also a member of St. Timothy's Episcopal Church in Frederick, an auxiliary officer for the Frederick Police Department and an active member of the Senior Citizens Center in Lexington, NC. Chapter #142 sends their condolences to the Goodman Family. You can read more at Stauffer Funernal Home about Roy Goodman. Online condolences may be made at Piedmont Funeral Home. Piedmont Funeral Home is assisting the Goodman family with local arrangements, and Stauffer Funeral Home is assisting with arrangements in Frederick, MD. 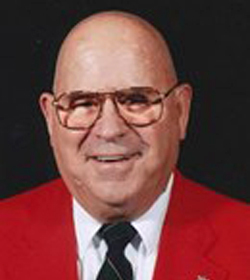 Members of Chapter #142 are saddened by the passing of John Albert Routzahn Sr., who passed away on Saturday, July 4, 2015. He was the loving husband of the late Alma Darlene Routzahn whom he married on January 30, 1955. Born and raised in Frederick, Maryland, he was the son of the late Charles O. and Erma Routzahn. He enlisted in the United States Navy, at the age of 17, and served in active duty from Aug. 1944 until July 1946. He continued his service in the USNR from Jan. 1951 to Jan. 1955 during which time he served as a Machinist Apprentice at Camp Detrick, in Frederick, Maryland. John spent the next 33 yrs. as a highly skilled Machinist within the Federal Government. He was a Life Member of KWVA Chapter #142; a member of Evangelical Reformed Church in Frederick, MD; a member of the American Legion Post 11; the Ali Ghan Shriners; the Cresap's Rifle Post 78 of the 29th Infantry Division Association; the Columbia Lodge 58 A.F. and A.M. Masonic Order; the National Rifle Association and the Elks Lodge 684. Chapter #142 expresses their sympathy to the Routzahn Family. 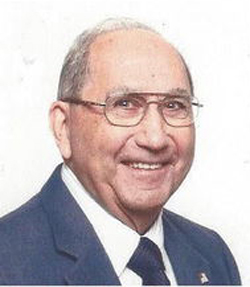 You can read more at The Frederick News-Post about John Albert Routzahn Sr.
Members of Chapter #142 mourn the death of Rupert Spring who passed away on Friday, June 19, 2015. Rupert Spring was the son of the late Rupert W. Spring, Sr. and Mamie C. Alexander Spring. Surviving are his wife of 64 years, Nancy Jo Spring, two sons, Michael Spring (Sandy) and Steven Spring (Jody); and one daughter, Pamela Jamison (Bill); one brother, James Spring; two sisters, Gloria Duvall, and Geraldine Bartee; 9 grandchildren and 3 great-grandchildren. He was predeceased by his twin sons, David and Dennis Spring, and by three sisters, Betty Lou, Joanne and Sondra. Rupert was a seasoned millwright doing work for Bechtel, Fairchild Hiller, NIH, Naval Medical Center, Ford's Theatre and other notable businesses, and personal cabinetry for Lady Bird Johnson. Rupert served in the U.S. Army 1169th Combat Engineer Group during the Korean War, 1950-1953. He was a life member of American Legion Post 11, VFW 3285, AMVETS Post 2, Korean War Veterans Association Chapter 142 of Frederick, MD and Honor Guard 142. He was a life-long motorcycle rider. He enjoyed dirt track Class C M/Cycle, AMA Pro Racing, NASCAR, Pro Boxing, bluegrass, country, and gospel music. Chapter #142 sends their condolences to the Spring Family. Rupert Spring will be missed. You can read more at The Frederick News-Post about Rupert William Spring. Members of Chapter #142 are sadden with the passing of Richard Martin who died May 29, 2015. Richard Martin was the husband of Ann Younkins Martin, his wife of almost 61 years. Born January 22, 1933, in Wolfsville, he was a son of the late Richard A. Martin and Gladys S. Martin. He was a direct descendent of Johan Stephen Martin, a German immigrant who arrived in America in 1751. 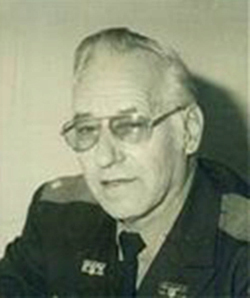 Richard Martin was a veteran of the Korean War, serving with the U.S, Army. He was a member of Francis Scott Key Post #11 of the American Legion, Amvets Post #2, and COL. William E. Weber Korean Veterans Chapter #142. Mr. Martin was a long time member of Christ Reformed United Church of Christ, Middletown, MD. Richard Martin was also a member of the following: Sgt. Lawrence Everhart Chapter of the Sons of the American Revolution (SAR), District of Columbia Commandary of the Military Order of the Loyal Legion of the United States (MOLLUS), Antietam Camp # 3 Sons of Union Veterans of the Civil War (SUVCW), and Descendants of Mexican War Veterans (DMWV). He was very active in genealogy research and in gardening. A long time Chapter member, he will be missed. Chapter #142 expresses their condolences to the Martin Family. 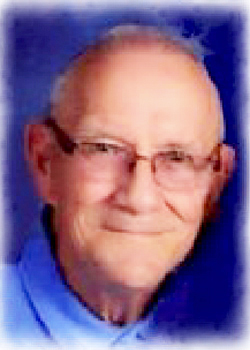 The Donald B. Thompson Funeral Home has more information on Richard Martin. Members of Chapter #142 extend their sympathy to the family and friends of Donald Maxey, who passed away January 27, 2015. Donald Maxey, a long time member of Chapter #142, was a Captain in the United States Armed Forces Army and most recently served as the Department of Maryland KWVA Commander. A science teacher in Montgomery County for more than 30 years, Donald Maxey has left a great impression on a great number of people in Maryland and afar. 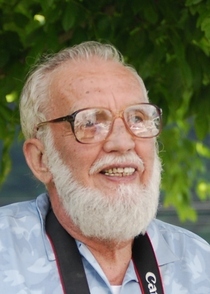 His passions were environmental and community activism. Our deepest sympathies are extended to the Maxey Family. The Stauffer Funeral Home has more information on Donald Maxey as well as service arrangements. Members of Chapter #142 remember with respect and friendship Richard Toms, who passed away March 31, 2014. 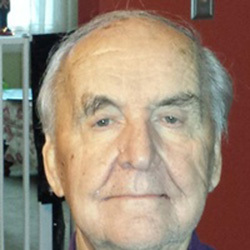 Richard Toms served in the United States Air Force from 1948 to 1969. During the Korean War he was on assignment in Japan for four years as a test flight engineer on B-26s and as a flight engineer completing weather and recon flights over the Yellow Sea. He received several awards during his service including: Commendation Medal; Berlin Airlift - Germany Occupation Medal; Korean Service Medal; United Nations Korean Service Medal; National Defense Service Medal; Air Force NCO Academy Service Medal; and Good Conduct Medal with Bronze loop. Richard was a member of Air Force Sergeants Association, Retired Enlisted Association, Glen Eyler Post 282 of American Legion of Woodsboro, The Frederick County Genealogy Society, and Korean War Veterans Association Chapter 142. Our thoughts and prayers are extended to Richard Toms' family. The Stauffer Funeral Homes website has a wonderful write-up on Mr. Toms accomplishments. Members of Chapter #142 grieve with the loss of LeRoy Hansberger, who passed away November 19th, 2013 at his home in Ijamsville, MD. LeRoy served in the U.S. Army during the Korean War. Before and after the war, he served in the National Guard. He was a past commander of Chapter #142, member of the Damascus American Legion Post #171, Life member of Mt. Airy VFW, State of Maryland Korean War Veterans officer, 4th Degree Knight of Columbus Assembly member of St. Ignatius of Loyola Catholic Church and a 10 year member of the Frederick County Roads Board. Our deepest sympathies are extended to LeRoy's wife, Charlotte Brown Hansberger, and family. You can read more about LeRoy Hansberger in The Frederick News-Post. Members of Chapter #142 are saddened with the loss of long time member Gene Droneburg, who passed away October 15th, 2013 at Frederick Memorial Hospital. Gene, twin brother of Jack Droneburg, served in the United States Army during the Korean War. He also served many years as head usher at Saint John the Evangelist Roman Catholic Church and was a member of the Knights of Columbus, the American Legion Francis Scott Key Post 11, United Fire Company #3, and Amvets Post #2. 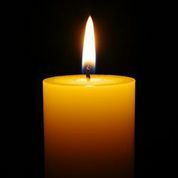 Our thoughts and prayers go out to Gene's family espcially his wife, Geraldine Droneburg, and brother, Jack Droneburg. Members of Chapter #142 have heavy hearts with the loss of Commander Bob Miles. Bob Miles passed away Thursday, August 15, 2013 at the University of Maryland Hospital after suffering from a stroke. Bob helped form the State of Maryland's Korean War Veteran's Department and was their first Commander. At the time of his death, he was Treasurer of the Department and Commander of Chapter #142.